Inspired by the Bike Nomad, Bryan takes a tour! The idea for a journey from Madison, Wisconsin to Michigan started in Washington, D.C. at the League of American Bicyclists’ National Bike Summit. One of the benefits of attending the Bike Summit was the opportunity to meet bicycle advocates from around the country. At this year’s Summit, I was fortunate to meet Erick Cedeño, better known as the Bicycle Nomad. I began following the Bicycle Nomad on social media and quickly learned that Erick and I use our bicycles in very different ways. With the exception of the days I use my bike to commute to work, most of my rides involve efforts to make the bike go fast. I race bikes and train with other racers. We sprint to yellow signs, push each other to our physical limits, and rarely take time to look around and enjoy the scenery. The Bicycle Nomad’s mission is to inspire people to explore by bicycle. He uses his bike as a way to see the world and absorb as much as he can possibly experience. 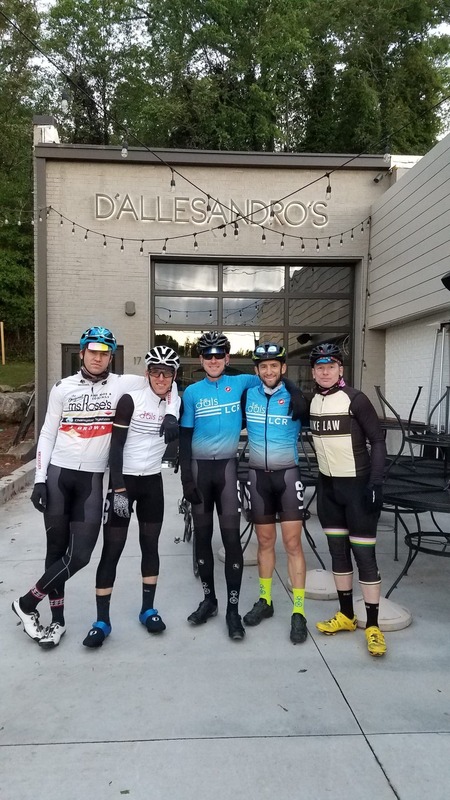 Since meeting Erick, I have frequently returned from a ride feeling as though I had gotten the most out of my time on the bike, only to see his posts on social media and realize he had experienced far more than me. Following Erick’s journeys made me think about the fact that a bicycle is truly the ideal way to see the world. In fact, it was the ability to explore by bicycle that originally caused me to be so drawn to the sport. My best memories on a bicycle are day trips bicycling in northern Michigan and extended adventures through Utah, Arizona, Colorado, and Montana. Accordingly, a few weekends ago, I decided to embark on my own bicycle adventure. I had already decided to visit my daughter in Madison, Wisconsin over Fourth of July weekend, with my girlfriend, Jodi. I talked with Jodi about incorporating a bicycle adventure into our trip and after a little online research, learned that we could ride our bikes almost exclusively on trails to travel from Madison to Milwaukee. From there, it was an easy boat ride across Lake Michigan to Muskegon. After visiting with my daughter for a few days, we set off from our hotel on the Capital City Trail around Lake Monona. The trail didn’t last long and we eventually ended up on rural roads for several miles before reaching the Glacial Drumlin State Trail. The Glacial Drumlin State Trail is a 52-mile trail which is paved for only 13 miles. The majority of the trail is crushed stone which was hard-packed, smooth, and perfect for riding. While the trail crossed many intersections, the fact we didn’t need to worry about motorized vehicles passing too close or potentially striking us from behind allowed us to ride side-by-side, relax, and enjoy all the Wisconsin countryside had to offer. Almost the entire trail was shaded, and there were numerous enjoyable stops, including small towns, bike shops, and former railroad stations. The trail also provided excellent vantage points for lakes, wetlands, and wildlife – including a number of sandhill cranes. The Glacial Drumlin State Trail came to an end in the City of Waukesha, but after a few miles of navigating the side streets of Waukesha, we were able to pick up the New Berlin Trail. The New Berlin Trail wasn’t nearly as scenic as the Glacial Drumlin, or even the Capital City Trail. For roughly seven miles, it ran parallel to massive power lines. However, the trail did provide a safe and convenient way to cross Milwaukee’s western suburbs. Once in the Milwaukee city limits, due to a minor navigation error, we unintentionally added several miles, bringing our daily total just shy of a century! Fortunately, we arrived in Milwaukee with enough time to stop at one of our favorite spots, Colectivo Coffee, for a quick dinner. From Colectivo Coffee, it was only approximately one and one-half miles to the Lake Express Ferry Terminal. The high speed ferry took us all the way across Lake Michigan in less than two and one-half hours. As an added bonus, my son, father, stepmother, and nephew were waiting for us in Muskegon. The following morning, we chartered a fishing boat out of Grand Haven, Michigan, which only added to this awesome adventure. Take it from me (and the Bicycle Nomad), plan a bicycle adventure for yourself this summer. You won’t regret it!